Here’s a look at the Grand Rapids Real Estate Market for 2019. According to a report released by the Greater Regional Alliance of REALTORS® (GRAR). 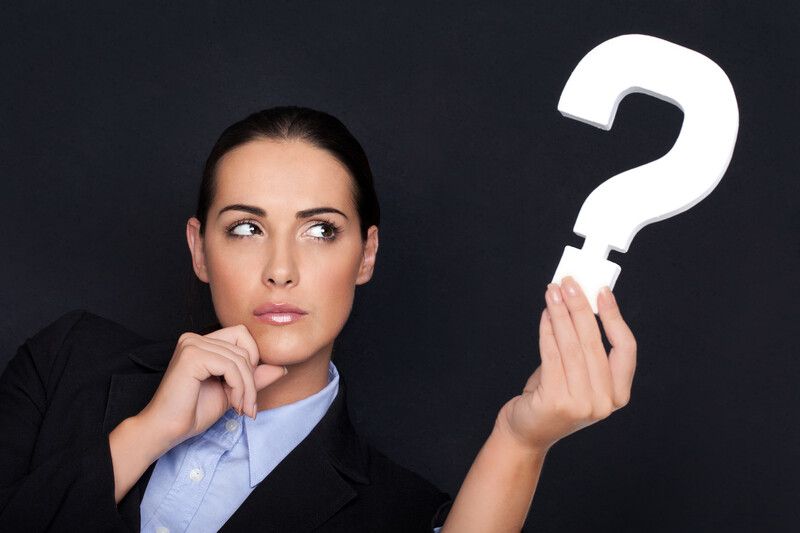 What Does This Mean If You Are Selling A House In Grand Rapids? 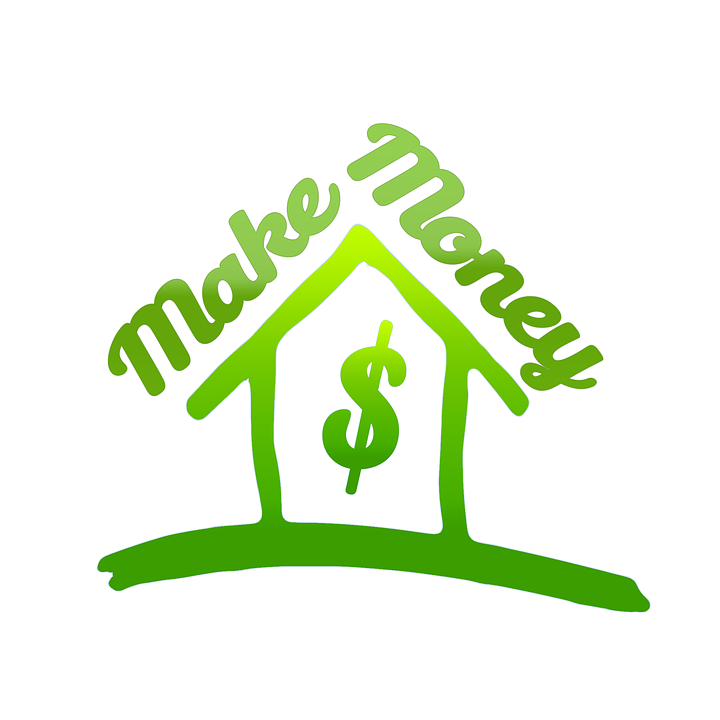 Find Out Your Home's Value Instantly! The total number of homes still available this month is 1563. The current inventory is down 14.3% compared to the previous month. December property sales were 769, 16.6% lower than 922 from the previous month. There was a decrease of 19% in the pended properties in December, with 674 properties versus 832 the previous month. The Average For Sale Price of Homes in the Greater Grand Rapids Area for December is $331,000 up 0.6% from $329,000 last month. The Median Sold Price in December was $190,000, up 0.5% from last month of $189,000. 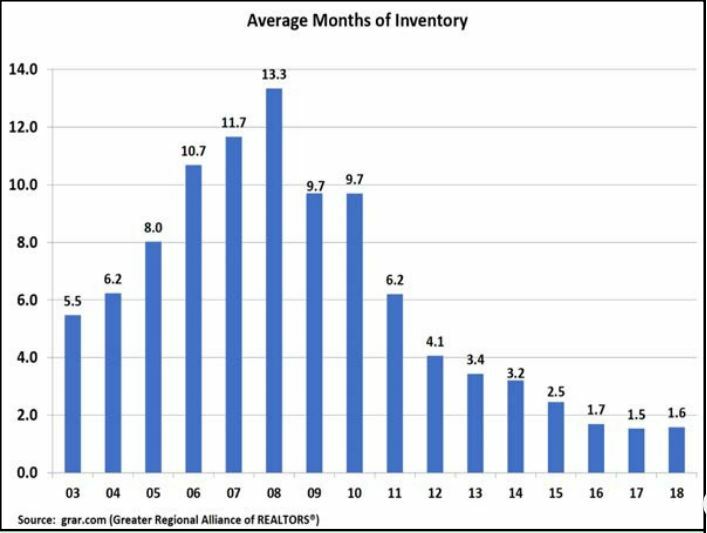 The Months of Inventory based on Closed Sales of 2 was the same as compared to last month. Currently, sellers are receiving 96% of their listing price. Grand Rapids continues to favor sellers in today’s real estate market. 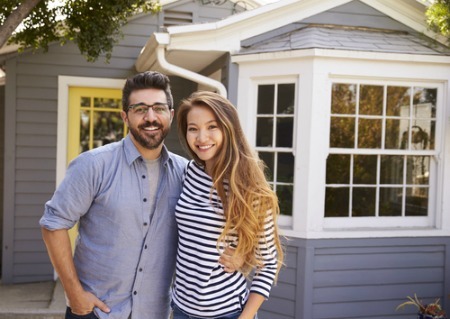 What’s The Value Of Your Home? See Your Home Value Instantly! Anyone that is reading this report, I hope you had a Happy Holiday. But now is the time to bring you crashing back down to earth. You no doubt had a Holiday spending spree and put those charges on your credit card and now you’ve got the credit card statement in the mail. Instead of sugar plums dancing through your head its a migraine headache. Because you’ve asked yourself a million times “Why did I spend sooo much for presents?” Well, only you can answer that question. Home Sales (sold) are down 16.6%. The Property Under Contract (pending) is down 19%. 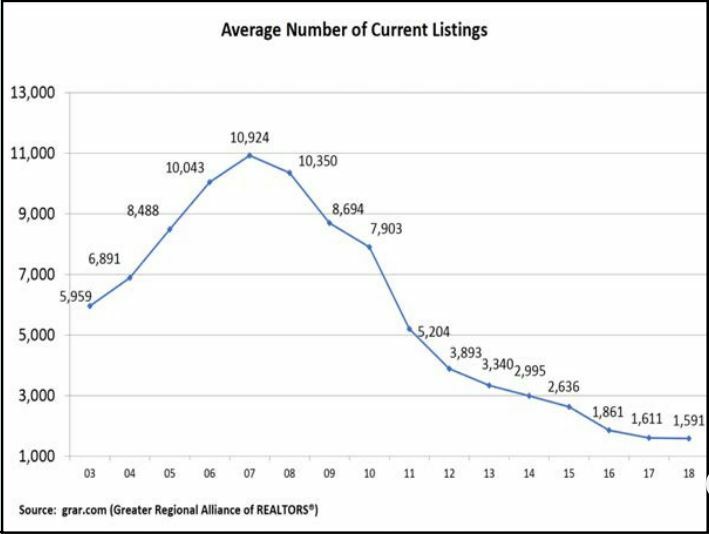 The total number of For Sale Listings is 1563 down 14.3%. The Average For Sale Price of Homes is up 0.6%. The Median Sold Price in November was $190,000 up 0.5% compared to the previous month of $189,000. Looking out my office window I see gray skies and green patches of grass where the entire ground should white. Have no fear its colder than the dickens outside. Reminds me of when I was a youngster. I had to walk 5 miles one way to school in a blizzard and then walk 10 miles back home in the same blizzard. BABY, IT WAS COLD! Now back to my prediction for the Grand Rapids Real Estate Market. Currently, we are in the middle of the Real Estate Holiday Blues. I’ve been selling real estate in Greater Grand Rapids for 28 years. Every year the Holiday Blues has reared its ugly head. There is no difference this year. My conclusion is ??? The Holiday Blues or hangover if you wish will continue through January and maybe February. Once the shock of your credit cards balances wears off and the weather starts to break, we’ll get back to a HOT REAL ESTATE MARKET! 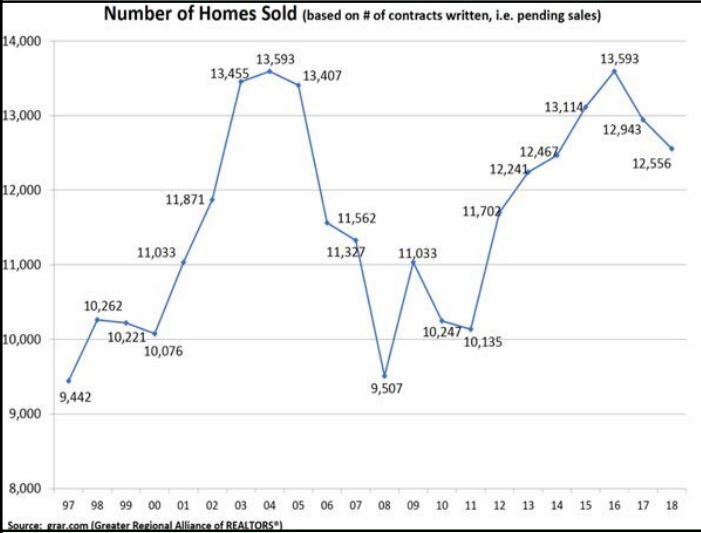 I know the Sold, Pending and For Sale numbers are down. They will begin to rise and the reason is simple “THERE IS NO INVENTORY!” So as the weather starts to warm so goes the Grand Rapids Real Estate Market. Does this mean that you can’t sell in the winter months? Absolutely not, it’s just the opposite, there is less competition because there are fewer homes on the market and buyers are going to be SERIOUS about your home. If you are still thinking of selling your house you are in luck because it’s still a Sellers Market in the Greater Grand Rapids Area. At the end of December, the Grand Rapids Real Estate Market saw a double-digit percentage decrease of Homes For Sale. The December 2018 Months of Inventory Based on Closed Sales of 2 was almost the same as the previous month. 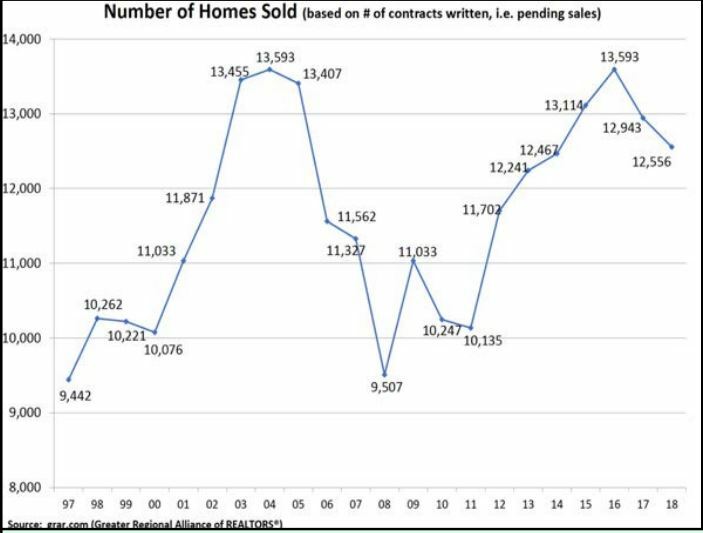 We are still in a seller’s market. A seller’s market is 0-3 months of inventory. A neutral market is 3-6 months and a buyers market is 6 months of inventory or more. With the Months of Inventory a seller’s market and the Homes For Sale Price neutral, this means its still a seller’s market. Here is the good news, there will be fewer buyers in the market and less pressure on putting in a higher than list price offer now is a great time to buy. Wait until spring and there will be more houses to choose from but the number of buyers will go up also thus multiple offer situations. There is another HUGE factor to buy now versus later, interest rates have gone up and will continue to go up. If you wait you will pay more monthly or you won’t be able to afford as much as you can now. Selling your home in today’s Greater Grand Rapids Real Estate Market in the winter months is still a great time to sell. The reason is simple, there are fewer homes for sale and that means less competition. I predict that the Seller’s Market will continue into the foreseeable future. My reasoning is simple there is still a lack of inventory in the Greater Grand Rapids Real Estate Market and that will continue to push house prices higher. Remember, even in this hot and crazy real estate market you still need 3 things to sell a house, 1.Location 2.Price 3.Condition. If one of those three is off you may be sitting or making multiple price adjustments. If that is the case, there is a good chance you’ll sell lower than if you priced it correctly in the beginning. Make use of the home valuation calculator and give me a call to discuss how to make sure you’re setting the right asking price. Unsure an automated home valuation calculator is correct? Contact me and I’ll give you a free market analysis and its free. Contact information is doughansen@grar.com, call or text 616-485-8955. Here are the most recent home listings just added to the database in the average price range for Grand Rapids. All homes here are priced at $331,000 or less.